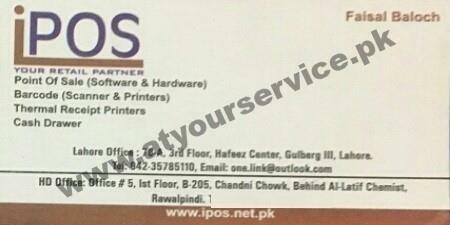 iPOS is Pakistan’s leading Point Of Sale solution providing software house. iPOS has been providing online retail and whole sale solution to small retailers and chain store since many years. iPOS.net has been so easy to operate and its user friendly interface allows user to input small quantity of data and get more than 500 useful reports. A Point of Sale (POS) system is a system for managing the sales of retail goods. The term is used to refer to the software and hardware associated with checkout stands, and all of the bundled features which are included. Most retailers use a POS system at their check stands or counters, and several major manufacturers offer POS systems designed for various types of businesses, ranging from grocery stores to clothing boutiques. Using a POS system makes a business much more efficient, lowering the costs of running the business while improving customer and making the business more pleasant and profitable to work in.